Gambia hosted the 3rd Pan African Youth Conference which commenced on Sunday, March 24, 2019 at the Kairaba hotel in Senegambia, on the theme: The future is now, youth are not too young to lead. 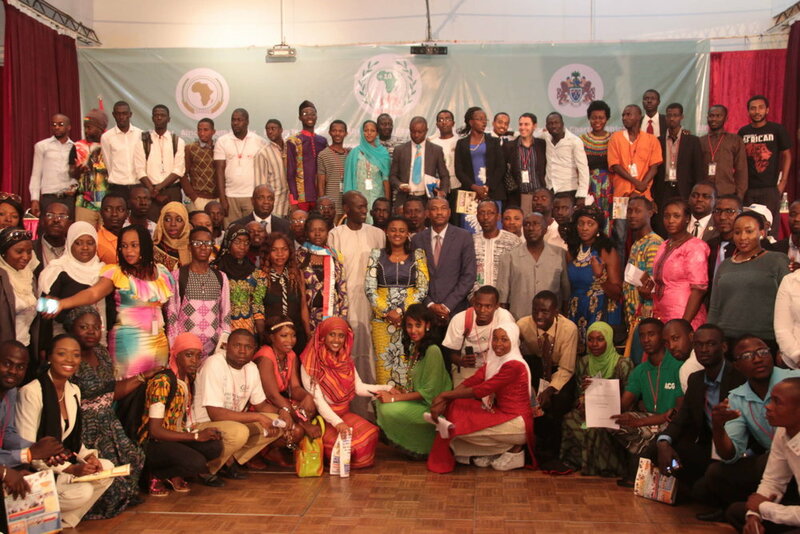 Delegates across the African continent participated in the three days convergent that aimed to create a youth-led open space for young people to interact, promote Pan Africanism and participate in the implementation of an African Unity project, inspire and encourage active youth leadership. Youth and sport minister Hadrammeh Sidibeh said at the opening that they are confident that the platform is safe for young people and others to engage in meaningful dialogue and voluntarily express their concern to attract the necessary policy-making attention. He said this will no doubt keep the government informed of the needs and aspirations of young people in the country and thanked the National Youth Council for their continued support to the development of young people. Natalie Sonia Mukundane, acting executive chairperson of the African Youth Commission (AYC) said the Commission, which was formally called the African Union Youth Working Group, was founded by youth leaders to foster synergy amongst youth and youth organisations on the continent and the Diaspora. She said the youthful platform provides space and voice for youth and youth organisations to set and drive their own agenda, promote the involvement of young people as key partners in the implementation of the Africa 2063 Agenda and the UN Agenda 2030 for sustainable development, support advocacy actions on the ratification and implementation of the African Youth Charter, other youth rights-based legal instruments and contribute to advancing the AU shared values through a network of locally based youth actors. Sandra Latov, representative of UNICEF country representative and Rasal M Omar from IOYC both spoke on the significance of the three days convergent, calling for continued investment in the development of young people to enable them realise their potentials.